Musicians Murray Foster and Mike Ford have teamed up to develop new musical, The Cocksure Lads. It will be included in the Canadian Music Theatre Project (CMTP) Festival of New Musicals workshops in October 2017. 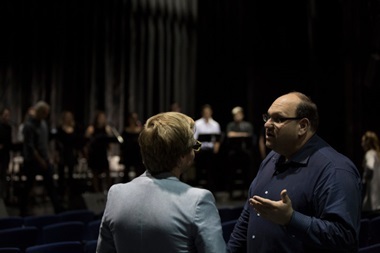 The CMTP is led by Michael Rubinoff, the Associate Dean of Visual and Performing Arts at Sheridan College. Since it began in 2011, 15 shows have been developed. Four have gone onto professional premieres, including the heartwarming Come From Away, which opened on Broadway in February 2017 and received seven Tony Award® nominations including Best Musical. It won the Tony for Best Direction of a Musical.